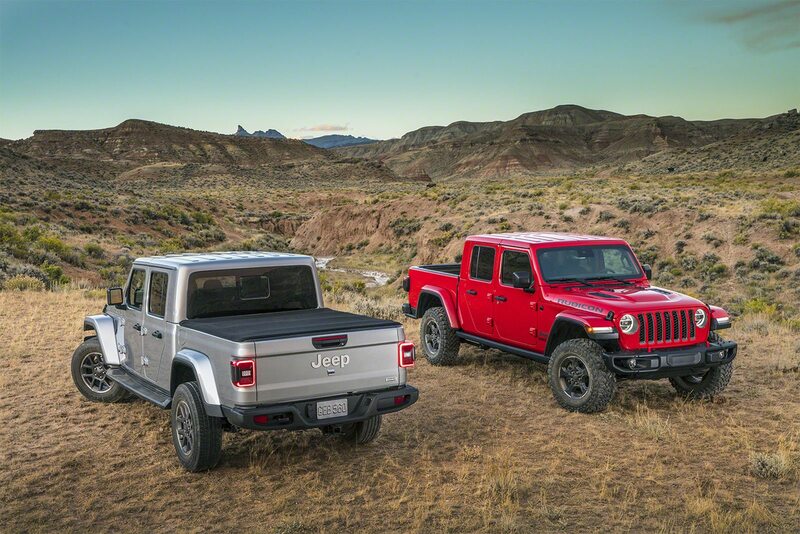 What’s your perfect Jeep Gladiator? Set to hit dealer lots very soon, the build and price tool for Jeep’s new Gladiator pickup truck is finally online. With trim levels ranging from base Sport to rugged Rubicon, Jeep’s pickup truck is bound to appeal to a wide range of tastes and budgets. Kicking things off is the Sport, priced at $33,545. Buying in at this level nets shoppers a Gladiator with air conditioning, Dana 44s front and rear, a six-speed stick, and Jeep’s Command-Trac Part-Time 4WD system. A Class II receiver hitch is thrown in for good measure. Skid plates cover the t-case and fuel tank. Prepare to cough up $2000 for an automatic transmission and $595 for a Trac-Lok rear diff that also brings a set of A/T rubber. The three-piece Freedom Top is a $1195 option. Sport S trim is a $3200 walk from the Sport, bringing along power accessories and wheels with more bling. Making a further $3650 jump to the Overland brings even more comfort features but gear like the Trac-Lok and $295 bank of auxiliary switches are still optional. The snazzier roofs appear here as options: dual tops or a body-color hardtop will set you back $2295 (each), the Freedom Top is still $1195, while the Sunrider is just $595. At this level, you’re rolling on 18s but still sitting on cloth seats. Topping the range (excepting the Launch Edition) is the mighty Rubicon. It starts at $43,545 just for asking, before any options are ladled onto it. 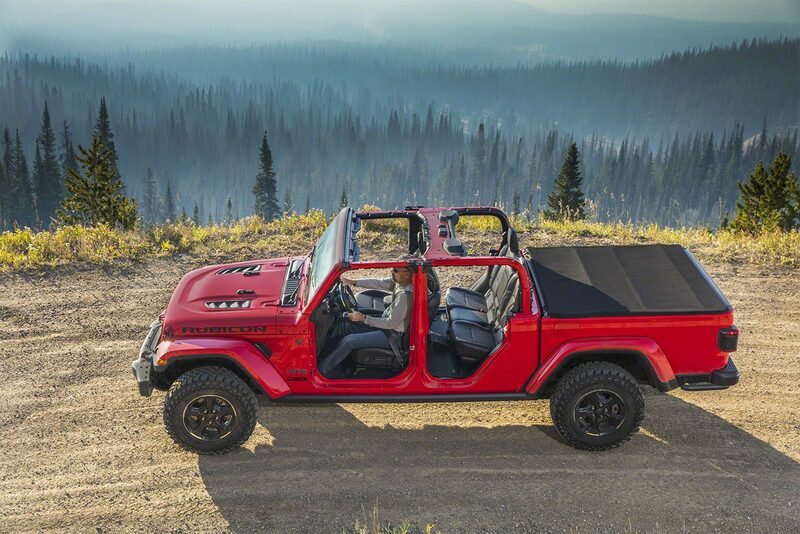 Longtime readers of this site know the Rubicon’s deal: 33-inch rubber, Rock-Trac 4×4 system, 4.10 rear, sway bar disconnect – you name it. A handy Cold Weather Group brings the heat to seats and steering wheel for $695 though, annoyingly, those aux switches are still a $295 option. 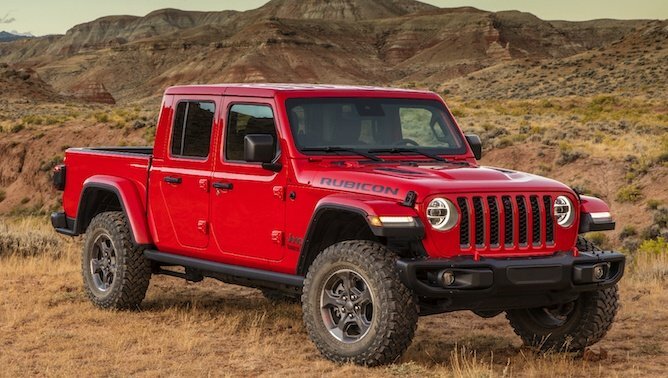 Given the amount of kit Jeep knows that Rubicon owners will add to their Gladiator, they should be standard. Roof options mirror the Overland. It would seem swapping out the 33-inch A/Ts for a set of 33-inch Mud Terrains is a $0 option. Don’t forget to check the $695 option box for that winch-capable steel front bumper and the $595 forward-facing trail camera while you’re there. Or, y’know, shrewdly work it into the deal. Given the hype around this model, don’t expect too many discounts, at least for the first while it is on sale. Don’t fall for any “additional dealer markups”, though; while the Gladiator is sure to be a hot seller, there’s no need to pay more than sticker price. If the store at which you’re shopping doesn’t want to play ball, head for a different Jeep dealer. There are plenty of them. Be sure to check out our review and video of the new Gladiator!